Area: 357,114 sq. km. (137,846 sq. mi. ); about the size of Montana. Cities (2007): Capital: Berlin (population about 3.41 million). Other cities — Hamburg (1.77 million), Munich (1.31 million), Cologne (1 million), Frankfurt (671,000), Essen (567,000), Dortmund (581,000), Stuttgart (602,000), Dusseldorf (586,000), Bremen (548,000), Hanover (521,000). Nationality: Noun and adjective — German(s). Population (January 1, 2010 estimate): 82,329,758. Population growth rate (% per annum, 2010 est. ): -0.053%. Ethnic groups (2010): German 91.5%, Turkish 2.4%, other 6.1% (made up largely of Greek, Italian, Polish, Russian, Serbo-Croatian, Spanish); Danish minority in the north, Sorbian (Slavic) minority in the east. Religions: Protestant 34%; Roman Catholic 34%; Muslim 3.7%; unaffiliated or other 28.3%. Education: Years compulsory: 10; attendance — 100%; literacy — 99%. Health: Infant mortality rate (2010): 3.99/1,000; life expectancy (2010) — women 82.42 years, men 76.26 years. Persons employed (second quarter 2010): 40.3 million. Branches: Executive: president (titular chief of state), chancellor (executive head of government); legislative — bicameral parliament; judicial — independent, Federal Constitutional Court. Major political parties: Social Democratic Party (SPD); Christian Democratic Union (CDU); Christian Social Union (CSU); Alliance 90/Greens; Free Democratic Party (FDP); The Left (Die Linke). GDP (2010 nom. ): $3.5 trillion. Annual growth rate: (2011 est.) 2.6%; (2010) 3.6%; (2009) -4.7%. Per capita GDP (2010 nom. ): $40,631. Inflation rate: (April 2011) 2.4%; (2010) 1.1%. Unemployment rate: (April 2011) 7.1%; (2010) 6.7%. Agriculture (0.9% of GDP in 2010): Products — corn, wheat, potatoes, sugar, beets, barley, hops, viticulture, forestry, fisheries. Industry (26.8% of GDP in 2010): Types — car-making; mechanical, electrical, and precision engineering; chemicals; environmental technology; optics; medical technology; biotech and genetic engineering; nanotechnology; aerospace; logistics. Trade (2010): Exports: $1.28 trillion (959.5 billion euros): machinery, motor vehicles, electrical products, chemicals and pharmaceutical products. Major markets — France, U.S., Netherlands. 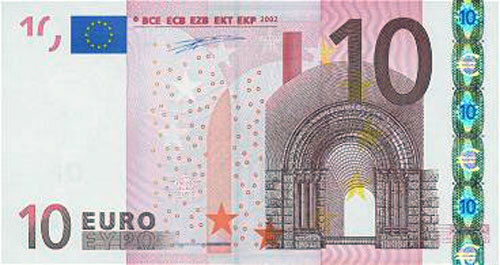 Imports — $1.079 trillion (806.16 billion euros): machinery, electrical products, petroleum products, motor vehicles. Major suppliers — China, Netherlands, France, U.S. Most inhabitants of Germany are ethnic German. There are, however, more than 7 million foreign residents, many of whom are the families and descendents of so-called "guest workers" (foreign workers, mostly from Turkey, invited to Germany in the 1950s and 1960s to fill labor shortages) who remained in Germany. Germany has a sizable ethnic Turkish population (2.4% at the beginning of 2010). Germany is also a prime destination for political and economic refugees from many developing countries. An ethnic Danish minority lives in the north, and a small Slavic minority known as the Sorbs lives in eastern Germany. Due to restrictive German citizenship laws, most "foreigners" do not hold German citizenship even when born and raised in Germany. However, since the German Government undertook citizenship and immigration law reforms in 2002, more foreign residents have had the ability to naturalize. Germany has one of the world's highest levels of education, technological development, and economic productivity. Since the end of World War II, the number of youths entering universities has more than tripled, and the trade and technical schools of the Federal Republic of Germany (F.R.G.) are among the world's best. Germany is a broadly middle class society. A generous social welfare system provides for universal medical care, unemployment compensation, and other social needs. Millions of Germans travel abroad each year. It is estimated that the population of Germany will decline from the current 82 million people to around 77 million people by 2050. Due to this demographic change, the available workforce aged 20-64 will shrink by more than six million by 2030, resulting in a marked shortage of skilled workers. In the absence of appropriate and timely policy action, demographic change threatens to become a constraining factor for prosperity and growth. Two of Germany's most famous writers, Goethe and Schiller, identified the central aspect of most of Germany's history with their poetic lament, "Germany? But where is it? I cannot find that country." Until 1871, there was no "Germany." Instead, Europe's German-speaking territories were divided into several hundred kingdoms, principalities, duchies, bishoprics, fiefdoms and independent cities and towns. Finding the answer to "the German question" — what form of statehood for the German speaking lands would arise, and which form could provide central Europe with peace and stability — has defined most of German history. This history of many independent polities has found continuity in the F.R.G. 's federal structure. It is also the basis for the decentralized nature of German political, economic, and cultural life that lasts to this day. Between 962 and the beginning of the 19th century, the German territories were loosely organized into the Holy Roman Empire of the German Nation. The initially non-hereditary Emperor, elected by the many princes, dukes, and bishops of the constituent lands and confirmed by the Pope, nominally governed over a vast territory, but had very limited ability to intervene in the affairs of the hundreds of entities that made up the Empire, many of which would often wage war against each other. The Empire was never able to develop into a centralized state. Beginning in 1517 with Martin Luther's posting of his 95 Theses on the door of the Wittenberg Castle church, the German-speaking territories bore the brunt of the pan-European struggles unleashed by the Reformation. The leaders of the German kingdoms and principalities chose sides, leading to a split of the Empire into Protestant and Catholic regions, with the Protestant strongholds mostly in the North and East, the Catholic in the South and West. The split along confessional lines also laid the groundwork for the later development of the most powerful German states — Prussia and Austria — as the Prussian Hohenzollern line adopted Protestantism and the Hapsburgs remained Catholic. The tension culminated in the 30 Years War (1618-1648), a combination of wars within the Empire and between outside European states that were fought on German land. These wars, which ended in a rough stalemate, devastated the German people and economy, definitively strengthened the rule of the various German rulers at the cost of the (Habsburg) Emperor (though Habsburg Austria remained the dominant single German entity within the Empire), and established the continued presence of both Catholics and Protestants in German territories. The 18th and 19th centuries were marked by the rise of Prussia as the second powerful, dominant state in the German-speaking territories alongside Austria, and Austrian-Prussian rivalry became the dominant political factor in German affairs. Successive Prussian kings succeeded in modernizing, centralizing, and expanding the Prussian state, creating a modern bureaucracy and the Continent's strongest military. Despite Prussia's emphasis on militarism and authority, Prussia also became a center of the German Enlightenment and was known for its religious tolerance, with its western regions being predominantly Catholic and Jews being granted complete legal equality by 1812. After humiliating losses to Napoleon's armies, Prussia embarked on a series of administrative, military, economic, and education reforms that eventually succeeded in turning Prussia into the Continent's strongest state. Following Napoleon's defeat, the 1814-1815 Congress of Vienna replaced the Holy Roman Empire with the German Confederation, made up of 38 independent states. A loose confederation, this construct had no common citizenship, legal system, or administrative or executive organs. It did, however, provide for a Federal Diet that met in Frankfurt — a Congress of deputies of the constituent states who would meet to discuss issues affecting the Confederation as a whole. Prussia led a group of 18 German states that formed the German Customs Union in 1834, and the Prussian Thaler eventually became the common currency used in this region. The Customs Union greatly enhanced economic efficiency, and paved the way for Germany to become a single economic unit during the 19th century's period of rapid industrialization. Austria chose to remain outside the German Customs Union, preferring instead to form its own customs union with the Hapsburg territories — a further step down the path of a unified Germany that did not include Austria. France's 1848 February Revolution that overthrew King Louis Phillipe sparked a series of popular uprisings throughout the German states. Panicking local leaders provided several political, social, and economic concessions to the demonstrators, including agreeing to a national assembly that would discuss the constitutional form of a united Germany, individual rights, and economic order. The assembly rapidly devolved into competing factions; meanwhile, the conservative leaders of the German states reconstituted their power. When the assembly finally determined that there should be a united, federal Germany (excluding Austria) with universal male suffrage, organized as a constitutional monarchy under an Emperor — and offered that emperor title to the King of Prussia — there was no longer any interest or political reason (least of all in absolutist, powerful Prussia) for the leaders to listen. The Prussian monarch rejected the assembly's offer, and the assembly was forcefully disbanded without achieving any of the stated goals of the 1848 revolutionaries. Nevertheless, the 1848 Revolutions did leave a lasting legacy. The factions of the ill-fated national assembly went on to develop into political parties. Certain economic and social reforms, such as the final abolition of feudal property structures, remained. The idea of German unity was firmly established. And the revolutionaries' colors — black, red, and gold — became firmly ensconced as the colors of German democratic and liberal aspirations. German nationalism developed into an important unifying and sometimes liberalizing force during this time, though it became increasingly marked by an exclusionary, racially-based definition of nationhood that included anti-Semitic tendencies. However, eventual unification of Germany was essentially the result of Prussian expansionism rather than the victory of nationalist sentiment. Prussia's economic growth outstripped Austria's during the latter half of the 19th century and Prussia-controlled Germany became one of Europe's industrial powerhouses. Under Chancellor Otto von Bismarck, Prussia defeated Austria (1866) and France (1870) in wars that paved the way for the formation of the German Empire under Emperor Wilhelm I in 1871. Germany became a federal state, with foreign and military policy determined at the national level, but most other policies remained the purview of the states. Internally, Bismarck waged a struggle against Catholicism, which he viewed as an agent of Austria (ironically, this anti-Catholic move — which eventually failed — actually ended up consolidating a lasting political role for Germany's Catholics), and tried to both co-opt and repress the emerging socialist movement by passing the age's most progressive social insurance and worker protection legislation while clamping down on Socialist activities. Externally, Bismarck then moved to consolidate the stability of the new Empire, launching a string of diplomatic initiatives to form a complex web of alliances with other European powers to ensure that Germany did not become surrounded by hostile powers and avoid Germany's involvement in further wars. However, Emperor William II disagreed vehemently with Bismarck, sacking him in 1890. Wilhelm II had ambitious aspirations for Germany, including acquisition of overseas colonies. His dynamic expansion of military power and confrontational foreign policies contributed to tensions on the continent. The fragile European balance of power, which Bismarck had helped to create, broke down in 1914. World War I and its aftermath, including the Treaty of Versailles, ended the German Empire. The postwar Weimar Republic (1919-33) was established as a broadly democratic state, but the government was severely handicapped and eventually doomed by economic problems and the rise of the political extremes. The dozens of political parties represented in the federal parliament never allowed stable government formation, creating political chaos. (This lesson led to the decision by the creators of the F.R.G. to limit parliamentary representation to parties that garner at least 5% of the vote.) The hyperinflation of 1923, the world depression that began in 1929, and the social unrest stemming from resentment toward the conditions of the Versailles Treaty worked to destroy the Weimar government. The National Socialist (Nazi) Party, led by Adolf Hitler, stressed nationalist and racist themes while promising to put the unemployed back to work. The party blamed many of Germany's ills on the alleged influence of Jewish and non-German ethnic groups. The party also gained support in response to fears of growing communist strength. In the 1932 elections, the Nazis won a third of the vote. In a fragmented party structure, this gave the Nazis a powerful parliamentary caucus, and Hitler was asked to form a government. He quickly declined. The Republic eroded and Hitler had himself nominated as Reich Chancellor in January 1933. After President Paul von Hindenburg died in 1934, Hitler assumed that office as well. Once in power, Hitler and his party first undermined and then abolished democratic institutions and opposition parties. The Nazi leadership immediately jailed many Jewish citizens and opposition figures and withdrew their political rights. Hitler's Nuremburg Laws subsequently deprived all of Germany's Jews of their political rights and also of their economic assets and professional licenses, foreshadowing the systematic plundering of Jewish assets throughout Nazi-occupied territory. The Nazis implemented a program of genocide, at first through incarceration and forced labor and then by establishing death camps. In a catastrophe generally known as the Holocaust or Shoah, roughly six million European Jews from Germany and Nazi-occupied countries were murdered in these death camps and in the killing fields set up behind military lines on the Eastern Front. Hitler's henchmen also carried out a campaign of ethnic extermination against Europe's Roma/Sinti and murdered thousands of homosexuals, mentally disabled people, and opposition figures. Nazi revanchism and expansionism led to World War II, which resulted in the destruction of Germany's political and economic infrastructures and led to its division. The United States, the United Kingdom, and the Soviet Union agreed at Potsdam in August 1945 to treat Germany as a single economic unit with some central administrative departments in a decentralized framework. However, Soviet policy turned increasingly toward dominating the part of Europe where Soviet armies were present, including eastern Germany. In 1948, the Soviets, in an attempt to abrogate agreements for Four-Power control of the city, blockaded Berlin. Until May 1949, the Allied-occupied part of Berlin was kept supplied only by an Allied airlift. The "Berlin airlift" succeeded in forcing the Soviets to accept, for the time being, the Allied role and the continuation of freedom in a portion of the city, West Berlin. As part of an ongoing commitment to deal with its historic responsibility, the Federal Republic of Germany took upon itself a leading role in the field of Holocaust education and support for research into this dark period of history. It has also paid out nearly 63 billion Euros as a measure of compensation to Jewish survivors and heirs of the Holocaust and other victims of Nazism, such as forced laborers from many European countries. In October 1982, the FDP joined forces with the CDU/CSU to make CDU Chairman Helmut Kohl the Chancellor. Following national elections in March 1983, Kohl emerged in firm control of both the government and the CDU. He served until the CDU's election defeat in 1998. In 1983, a new political party, the Greens, entered the Bundestag for the first time. The G.D.R. established the structures of a single-party, centralized, communist state. On July 23, 1952, the G.D.R. abolished the traditional Laender and established 14 Bezirke (districts). Formally, there existed a "National Front" — an umbrella organization nominally consisting of the SED, four other political parties controlled and directed by the SED, and the four principal mass organizations (youth, trade unions, women, and culture). However, control was clearly and solely in the hands of the SED. Balloting in G.D.R. elections was not secret. On July 17, 1953, East Germans revolted against totalitarian rule. The F.R.G. marked the bloody revolt by making the date the West German National Day, which remained until reunification. 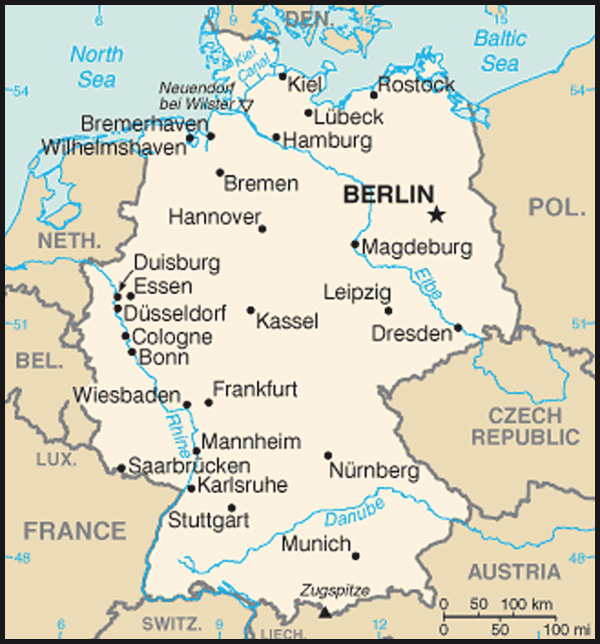 Shortly after World War II, Berlin became the seat of the Allied Control Council, which was to have governed Germany as a whole until the conclusion of a peace settlement. In 1948, however, the Soviets refused to participate any longer in the quadripartite administration of Germany. They also refused to continue the joint administration of Berlin and drove the government elected by the people of Berlin out of its seat in the Soviet sector and installed a communist regime in its place. From then until unification, the Western Allies continued to exercise supreme authority — effective only in their sectors — through the Allied Kommandatura. To the degree compatible with the city's special status, however, they turned over control and management of city affairs to the Berlin Senat (executive) and House of Representatives, governing bodies established by constitutional process and chosen by free elections. The Allies and German authorities in the F.R.G. and West Berlin never recognized the communist city regime in East Berlin or G.D.R. authority there. During the years of Berlin's isolation — 176 kilometers (110 mi.) inside the former G.D.R. — the Western Allies encouraged a close relationship between the Government of West Berlin and that of the F.R.G. Representatives of the city participated as non-voting members in the F.R.G. parliament; appropriate West German agencies, such as the supreme administrative court, had their permanent seats in the city; and the governing mayor of Berlin took his turn as President of the Bundesrat. In addition, the Allies carefully consulted with the F.R.G. and Berlin Governments on foreign policy questions involving unification and the status of Berlin. During the summer of 1989, rapid changes took place in the G.D.R. Pressures for political opening throughout Eastern Europe had not seemed to affect the G.D.R. regime. However, Hungary ended its border restrictions with Austria, and a growing flood of East Germans began to take advantage of this route to West Germany. Thousands of East Germans also tried to reach the West by staging sit-ins at F.R.G. diplomatic facilities in other East European capitals. The exodus generated demands within the G.D.R. for political change, and mass demonstrations in several cities — particularly in Leipzig — continued to grow. On October 7, Soviet leader Mikhail Gorbachev visited Berlin to celebrate the 40th anniversary of the establishment of the G.D.R. and urged the East German leadership to pursue reform. On November 28, F.R.G. Chancellor Kohl outlined a 10-point plan for the peaceful unification of the two Germanys. In December, the G.D.R. Volkskammer eliminated the SED's monopoly on power. The SED changed its name to the Party of Democratic Socialism (PDS), and numerous political groups and parties formed. The communist system had been eliminated. A new Prime Minister, Hans Modrow, headed a caretaker government that shared power with the new, democratically oriented parties. In 1990, as a necessary step for German unification and in parallel with internal German developments, the two German states and the Four Powers — the United States, U.K., France, and the Soviet Union — negotiated to end Four Power reserved rights for Berlin and Germany as a whole. These "Two-plus-Four" negotiations were mandated at the Ottawa Open Skies conference on February 13, 1990. The six foreign ministers met four times in the ensuing months in Bonn (May 5), Berlin (June 22), Paris (July 17), and Moscow (September 12). The Polish Foreign Minister participated in the part of the Paris meeting that dealt with the Polish-German borders. The government is parliamentary, and a democratic constitution emphasizes the protection of individual liberty and division of powers in a federal structure. The chancellor (prime minister) heads the executive branch of the federal government. The duties of the president (chief of state) are largely ceremonial; the chancellor exercises executive power. The Bundestag (lower, principal chamber of the parliament) elects the chancellor. The president normally is elected every 5 years on May 23 by the Federal Assembly, a body convoked only for this purpose, comprising the entire Bundestag and an equal number of state delegates. President Christian Wulff (Christian Democratic Union - CDU) was elected on June 30, 2010. The Bundestag, which serves a 4-year term, consists of at least twice the number of electoral districts in the country (299). When parties' directly elected seats exceed their proportional representation, they may receive additional seats. The number of seats in the Bundestag was reduced to 598 for the 2002 elections. The Bundesrat (upper chamber or Federal Council) consists of 69 members who are delegates of the 16 Laender (states). The legislature has powers of exclusive jurisdiction and concurrent jurisdiction with the Laender in areas specified in the Basic Law. The Bundestag has primary legislative authority. The Bundesrat must concur on legislation concerning revenue shared by federal and state governments and those imposing responsibilities on the states. Christian Democratic Union/Christian Social Union (CDU/CSU). An important aspect of postwar German politics was the emergence of a moderate, ecumenical Christian party — the Christian Democratic Union (CDU) — operating in alliance with a related Bavarian party, the Christian Social Union (CSU). Although each party maintains its own structure, the two form a common caucus in the Bundestag and do not run opposing campaigns. The CDU/CSU has adherents among Catholics, Protestants, rural interests, and members of all economic classes. It is generally conservative on economic and social policy and more identified with the Roman Catholic and Protestant churches. Angela Merkel, Germany's current Chancellor, is the leader of the CDU and Horst Seehofer leads the Christian Social Union. The CDU/CSU currently holds 237 seats in the Bundestag. Social Democratic Party (SPD). The SPD is one of the oldest organized political parties in the world. It originally advocated Marxist principles, but in the 1959 Godesberg Program abandoned the concept of a "class party" while continuing to stress social welfare programs. Under the leadership of Gerhard Schroeder, the SPD-Greens government implemented in 2003 the centrist Agenda 2010 reforms, designed to modernize the country's social system and labor market. The SPD elected Franz Muentefering as chairperson on October 18, 2008 replacing Kurt Beck, who had resigned in September 2008. The SPD also chose Foreign Minister Frank-Walter Steinmeier to lead the party against incumbent Chancellor Angela Merkel's CDU in the September 27, 2009 national parliamentary elections. Following the SPD's poor showing in the federal election of 2009, Franz Muentefering resigned from the position of party chairman of the SPD. Sigmar Gabriel was nominated as his successor and was elected as party chairman on November 13, 2009. Steinmeier became SPD Bundestag caucus leader. The SPD has a powerful base in the bigger cities and industrialized states. Currently, 146 seats in the Bundestag are held by the SPD. Free Democratic Party (FDP). The FDP has traditionally been composed mainly of middle and upper class Protestants who consider themselves heirs to the European liberal tradition. It supports free trade and reducing the role of the state in economic policy. It is libertarian on social issues. The party has participated in all but three postwar federal governments but was in opposition from 1998-2009. After its strong showing in the September 2009 elections, the FDP joined with the CDU/CSU to form the current government coalition. Guido Westerwelle, Germany's current Foreign Minister, is the leader of the Free Democratic Party. The FDP currently holds 93 seats in the Bundestag. The Left. The PDS (composed largely of former East German communists) and the WASG (composed of western leftists) merged in June 2007 to form a party now called "The Left ." The party's foreign policy is largely shaped by its rigid opposition to foreign military deployments. On domestic policy, the party opposes economic and social reforms, such as Hartz IV, which aim to increase free markets and reduce unemployment benefits. The Left party proposes to replace the free market system with a return to socialist principles. The Left party is currently lead by Gesine Loetzsch and Klaus Ernst and holds 76 seats in the Bundestag. Alliance 90/Greens. In the late 1970s, environmentalists organized politically as the Greens. Opposition to nuclear power, military power, and certain aspects of highly industrialized society were principal campaign issues. In the December 1990 all-German elections, the Greens merged with the Eastern German Alliance 90, a loose grouping of civil rights activists with diverse political views. The Greens joined a federal government for the first time in 1998, forming a coalition with the SPD. Alliance 90/Greens are currently lead by Claudia Roth and Cem Oezdemir. Currently, 68 seats in the Bundestag are held by the Greens. Other parties. Because of the instability caused by the need for multi-party coalitions in the Weimar Republic, Germany's Basic Law today requires that parties reach 5% of the vote to win seats in the Bundestag. In addition to those parties that won representation in the Bundestag in 2009, a variety of minor parties won a cumulative 6% of the vote, up from 2.7% in 2005. Several other parties were on the ballot in one or more states but did not qualify for representation in the federal Bundestag. The 2005 federal elections were held after Chancellor Schroeder asked for a Bundestag "vote of confidence" on the SPD-Greens coalition. The July 1, 2005, confidence motion failed, and President Koehler called for elections to be held on September 18, 2005, a year earlier than planned. The results of the 2005 Bundestag elections were as follows: CDU/CSU 35.2% (226 seats); SPD 34.2% (222 seats); FDP 9.8% (61 seats); LP/PDS 8.7% (54 seats); Greens 8.1% (51 seats). After several weeks of negotiations, the CDU/CSU and SPD agreed to form a "grand coalition" under the leadership of Chancellor Angela Merkel. Angela Merkel and the new cabinet were sworn in on November 22, 2005. Bundestag elections were held again on September 27, 2009. The results were as follows: CDU/CSU 33.8% (239 seats); SPD 23% (146 seats); FDP 14.6% (93 seats); LP 11.9% (76 seats); Greens 10.7% (68 seats). The CDU/CSU received a slightly lower proportion than in the previous election, with the Bavarian CSU receiving its lowest vote share in decades. In contrast, their preferred coalition partner, the liberal FDP, gained nearly 5% points to give it 14.6% of the vote, the best result of its history. The big loser of the election was the SPD, which received its worst result ever in a federal election, receiving only 23% of the total party vote and suffering the biggest percentage loss of any party in German federal election history in 60 years. The two other parties represented in the Bundestag, The Left party and the Greens, both made large gains and received the highest vote share of their respective histories. For the first time, The Left party won constituency seats outside its traditional stronghold of East Berlin. As a result of the losses by the SPD and the gains by the FDP, the alliance of the CDU/CSU and FDP received an outright majority of seats. The Christian Democratic Union, the Christian Social Union of Bavaria, and the Free Democratic Party were able to form a center-right government, with Angela Merkel continuing as Chancellor. Germany maintains an embassy (http://www.germany.info/) in the United States at 2300 M Street NW, Washington, DC 20037 (tel. 202-298-4000). Consulates general are located in Atlanta, Boston, Chicago, Detroit, Houston, Los Angeles, Miami, New York, San Francisco, and Seattle. Germany has honorary consuls in more than 30 U.S. cities. The German economy — the fifth-largest in the world in purchasing power parity (PPP) terms and Europe's largest — is a leading exporter of machinery, vehicles, chemicals, and household equipment and benefits from a highly skilled labor force. Like its Western European neighbors, Germany faces significant demographic challenges to sustained long-term growth. Low fertility rates and declining net immigration are increasing pressure on the country's social welfare system and have compelled the government to undertake structural reforms. The modernization and integration of the eastern German economy — where unemployment can exceed 20% in some municipalities — continues to be a costly and long-term process, with total transfers from west to east amounting to roughly $3 trillion so far. 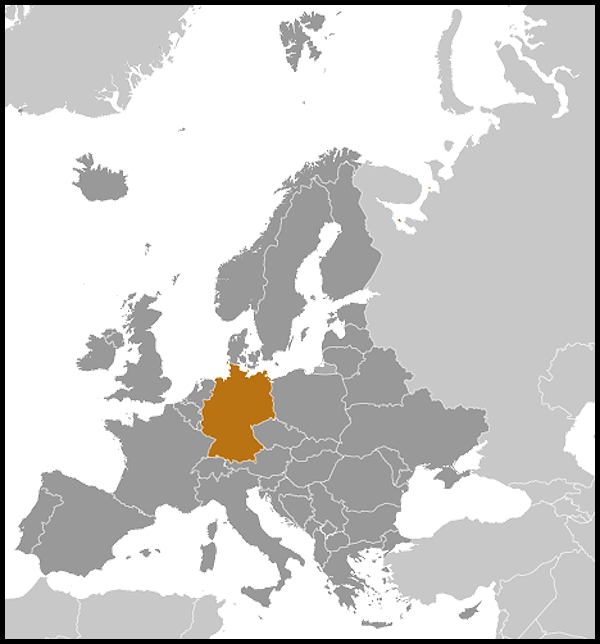 In 2010, gross domestic product grew by 3.6%, and the German economy experienced its strongest rate of growth since reunification. The country's export-dependent economy is growing more quickly than the Eurozone average. It is expected to grow by 2.6% in 2011, with exports to emerging markets playing an increasingly important role. Domestic demand is becoming a more prominent driver of growth. The German labor market also showed a strong performance in 2010, with the unemployment rate dropping to 6.7%. Economists attribute the decrease in unemployment to the extensive use of government-sponsored "short-time" (Kurzarbeit) work programs, as well as to structural reforms implemented under the government of former Chancellor Gerhard Schroeder. The European Union (EU) gave Germany until 2013 to get its consolidated budget deficit below 3% of GDP, and the government's 4-year fiscal consolidation program worth approximately €80 billion (U.S. $109.6 billion) is intended to meet deficit targets. Germany's deficit decreased from 3.7% of GDP in 2010, declining to 2.7% of GDP during the first part of 2011. Thanks to a faster than anticipated recovery following 2009's economic contraction, the deficit is expected to be as low as 2.5% of GDP by the end of 2011. In May 2011, Chancellor Merkel announced Germany's plan to phase out nuclear energy power by 2022. It is expected that this policy will further accelerate the growth of the renewable energies sector. Germany continues to emphasize close ties with the United States, membership in NATO, and the "deepening" of integration among current members of the EU. The Federal Republic of Germany took part in all of the joint postwar efforts aimed at closer political, economic, and defense cooperation among the countries of Western Europe. Germany has been a large net contributor to the EU budget. Germany also is a strong supporter of the United Nations and of the Organization for Security and Cooperation in Europe (OSCE). In October 2010, Germany was elected to a 2-year term as a non-permanent member of the United Nations Security Council beginning in January 2011. German-American ties extend back to the colonial era. More than 7 million Germans have immigrated over the last 3 centuries, and today nearly a quarter of U.S. citizens claim German ancestry. In recognition of this heritage and the importance of modern-day U.S.-German ties, the U.S. President annually has proclaimed October 6, the date the first German immigrants arrived in 1623, to be "German-American Day." U.S. policy toward Germany remains the preservation and consolidation of a close and vital relationship with Germany, not only as friends and trading partners, but also as allies sharing common institutions. During the 45 years in which Germany was divided, the U.S. role in Berlin and the large American military presence in West Germany served as symbols of the U.S. commitment to preserving peace and security in Europe. Since German unification, the U.S. commitment to these goals has not changed. The U.S. made significant reductions in its troop levels in Germany after the Cold War ended, and, on July 12, 1994, President Bill Clinton "cased the colors" at the Berlin Brigade's deactivation ceremony. The U.S., however, continues to recognize that the security and prosperity of the United States and Germany significantly depend on each other. As allies in NATO, the United States and Germany work side by side to maintain peace and freedom. This unity and resolve made possible the successful conclusion of the 1987 U.S.-U.S.S.R. Intermediate-Range Nuclear Forces Treaty (INF), the Two-plus-Four process — which led to the Final Settlement Treaty — and the November 1990 Conventional Armed Forces in Europe (CFE) Treaty. The two allies have extended their diplomatic cooperation into military cooperation by maintaining peacekeeping efforts in the Balkans and working together to encourage the evolution of open and democratic states throughout central and eastern Europe. Germany has been an integral part of the UN-mandated International Security Assistance Force (ISAF) in Afghanistan since its establishment in 2002. Germany is the third-largest troop contributor with 5,000-plus troops and commands the entire ISAF northern region, which encompasses one-fourth of the country. Germany also leads two Provincial Reconstruction Teams (PRTs) and operates the main logistics base that supports all forces in the region, including 5,000 U.S. troops. Germany runs one of the largest police training programs in the country and actively trains and mentors the Afghan National Army. Germany deployed AWACs air crews to Afghanistan in April 2011 to free up other allies' resources and personnel for NATO operations in Libya. The Bundeswehr is in the process of transforming itself from a purely territorial defense force, as it was during the Cold War, into an expeditionary force capable of deploying up to 10,000 soldiers at a time. U.S. and German troops work together effectively in NATO and UN operations worldwide due in part to the joint training and capacity-building performed at U.S. military installations in Germany. With over 1,000 troops on the ground, Germany is the largest contributor to international peacekeeping operations in Kosovo. German and American maritime forces are also deployed to combat piracy off the Horn of Africa. Following the September 11, 2001, attacks on the World Trade Center in New York City and the Pentagon in Washington, DC, Germany has been a reliable U.S. ally in efforts against terrorism. As two of the world's leading trading nations, the United States and Germany share a common, deep-seated commitment to an open and expanding world economy. Personal ties between the United States and Germany extend beyond immigration to include intensive foreign exchange programs, booming tourism in both directions, and the presence in Germany of large numbers of American military personnel and their dependents. The United States and Germany have built a solid foundation of bilateral cooperation in a relationship that has changed significantly over 6 decades. The historic unification of Germany and the role the United States played in that process have served to strengthen ties between the two countries. The U.S. Embassy in Germany is located at Pariser Platz 2, 14191 Berlin. The mailing address is PSC 120, Box 1000, APO AE 09265, Clayallee 170, 14195 Berlin; telephone:  (030) 8305-0; fax:  (030) 8305-1215; web site: (http://germany.usembassy.gov/). There are Consulates General in Duesseldorf, Frankfurt am Main, Hamburg, Leipzig, and Munich.